Recently I wrote about streaming App-V 5 packages via HTTP. Using caching in IIS performance can be enhanced while resource consumption on the SMB share are minimized. 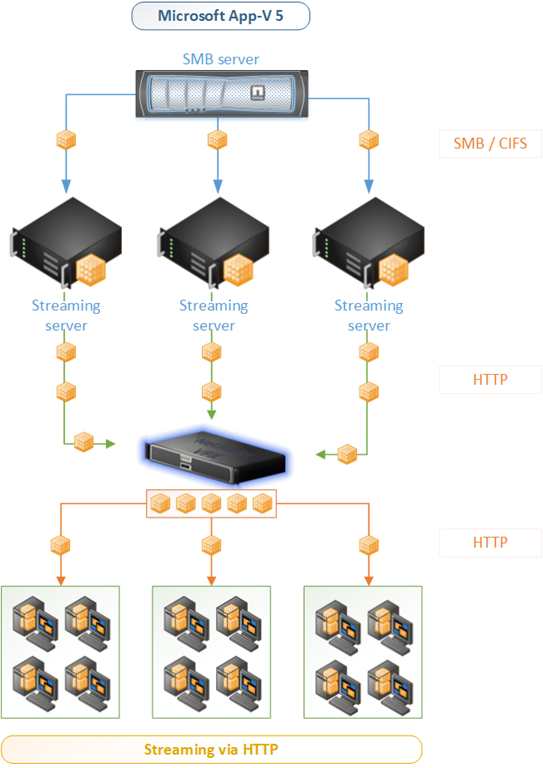 Since we’re using HTTP for streaming it’s not unlikely a load balancer is used to divide the traffic to multiple App-V streaming servers adding another hop. When a Citrix NetScaler is used to load balancing App-V Streaming Servers you could use Integrated Caching to cache resources. When resources are cached on the load balancer less network traffic is generated. Integrated Caching is part of the Platinum or Enterprise edition with Caching option.